Informing, educating and inspiring the general public and supporting teaching in the sciences of astronomy and physics. 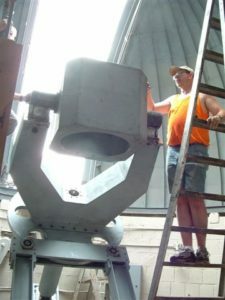 The Martz-Kohl Observatory is run by the Marshal Martz Memorial Astronomical Association, a not-for-profit voluntary group of people interested in astronomy. The observatory is located in Frewsburg, New York in Chautauqua County, not far from Jamestown and Chautauqua Lake. Help Us with our Renovation Plan by Volunteering or Donating. Use PayPal today to make your tax deductible Donation!